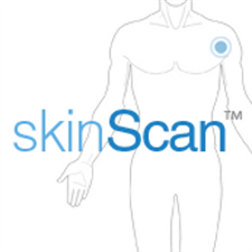 skinScan an exclusive new mobile app for Windows Phone, is now available for WP8 and WP7! skinScan analyzes your moles, tracks their changes, and connects you with dermatologists to get a professional opinion. This app is just the beginning of what technology will be able to offer us in the future when it comes to having a professional doctor at your fingertips! Check out this revolutionary app out below! Take a picture of your mole with your phone, answer a few questions, and our skin assessment technology developed by world renowned skin scientists will tell you if your mole is high risk lesion or nothing to worry about. Our advanced automated algorithms are based on International Dermoscopy standards and vetted by our medical team through clinical tests. Still not sure and want to have a doctor look at your mole personally? Simply tap on “Send for expert opinion” to send your mole image to our resident skin scientist, who will personally look at your mole and your data to give you an assessment. For a limited time, this service is FREE to use! Download and use this app today! Written by: MBGW on June 15, 2013.